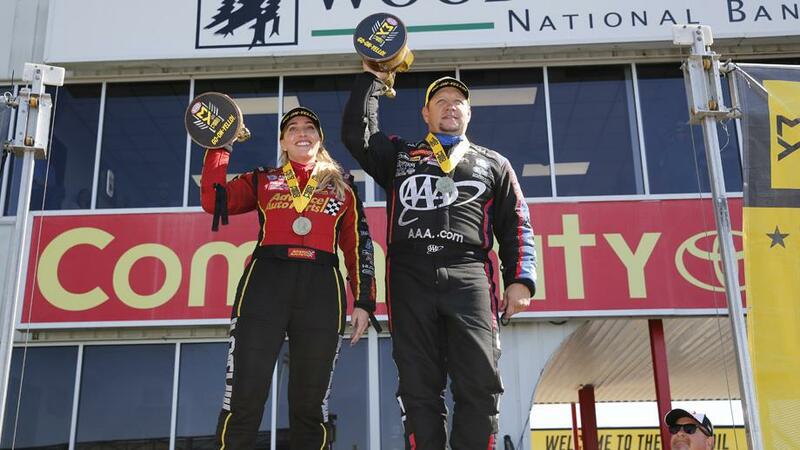 Brittany Force and teammate Robert Hight shared the winner’s circle for the third time in their careers following a pair of convincing nitro wins at the NHRA SpringNationals in Baytown, TX. Force captured her ninth career win and second-straight in Houston after a dominating performance. It was just her fifth race with new crew chief David Grubnic. Force broke the track record in qualifying with a 3.661-second, 332.18 miles-per-hour pass and then defeated Cameron Ferre, Doug Kalitta, and Clay Millican before outrunning Antron Brown in the final. Force was joined in the winner’s circle by two-time Funny Car world champion and John Force Racing teammate Hight who earned his third win of the 2019 season. Hight beat Jonnie Lindberg, J.R. Todd, and John Force before topping Matt Hagan in the final. Both the NHRA Pro Stock and Pro Stock Motorcycle classes were off this past weekend. “All of John Force Racing was on a mission this morning. Dad and I were number one in qualifying and that was the first time a father and daughter were able to do that at an NHRA event. That’s pretty awesome for all of us,” Brittany Force said. “We were looking for a win together but to do it with Robert is also pretty awesome. “I wasn’t nervous about qualifying on Friday because I believe in this team. I know they’ll get it done. What I was nervous about was the weather. It didn’t look good. Luckily, Mother Nature held out for us,” Hight said. “We event got two runs and got two bonus points. Our team came out swinging and made really good runs for conditions. That’s why we have three wins so far this year. My crew keeps me in check. We’ve been through a lot of ups and downs. In 2017, at the last race of the year in Pomona, we did not qualify until the last session and we were 15th, but we found a way to win the championship. I’ve never seen a more focused group of individuals. 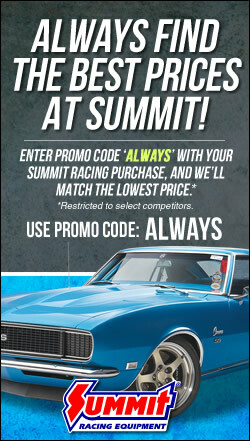 The 2019 NHRA Mello Yello Drag Racing Series season continues with the NHRA Four-Wide Nationals at zMax Dragway in Concord, NC, April 26-28. Drag Race Central and NHRA contributed to this report.